“Tea is from China,” Andy huffed. I don’t know that my husband fully agreed with me, but after tea at the Huntington Gardens, daily afternoon tea on our honeymoon, and tea at Thornbury Castle, Andy mellowed on the subject of tea. The Electric Tea Kettle – you can get one like mine at Target. After we married, he got me an electric tea kettle, popularized by the British. It’s the quickest, most efficient way to heat water, and I loved it. I loved showing my tea kettle off, too, and feeling posh British-y with my Harrod’s Earl Grey #42 – loose-leaf, of course. (You do know that the stuff in tea bags are LITERALLY the sweepings off the floor of the tea packaging factory, right?) A friend even knitted me an adorable tea cozy to keep my teapot warm. I had all the right gear. I was a tea snob. I was content. And then my in-laws came to visit. Sunny and Jay nodded. They asked for some tea. I made them tea. They watched me make the tea. Their first night with us was miserable. By morning, though, things were looking up. The in-laws were used to the dogs. Andy and Jay made improvements to the squeaking futon. While the futon might never again return to an upright position, it stopped squeaking. Sunny returned the mattress from the floor to the futon. Andy, recovering from knee surgery, had a doctor’s appointment at 9 AM. I drove him, figuring it was okay to leave in-laws unsupervised for an hour. At 10 AM we returned home to a smoky kitchen, the stench of burned plastic, and a scorched kitchen rug. My electric tea kettle was melted into modern art. Sunny only humphed at me as I bundled up the mangled mass of plastic in the charred rug. I left the kitchen, carrying the sad remains of my beloved kettle out to the trash. Andy limped after me. “I’m sorry, honey.” He flipped back trashcan’s lid. “This is one of those times when a nice cup of tea would make everything better, ha, ha, ha,” I sniffled. “Don’t worry about it,” I interrupted. Author’s note: After she got over being miffed – some six months later – Sunny did send me a replacement tea electric kettle. I continue to be amazed at your in-laws. Are you sure Andy isn’t adopted? Maybe they traded a girl baby for a boy one. Also, I understand they are looking for the 3 miracles so they can canonize you. You will get your own feast day! Ha! Nope, not adopted. He’s just more Americanized than his parents. Probably from watching too much TV. Also, Jay and Sunny are older and jet lagged coming from Hawaii, and none of us slept well the night before. So there are extenuating circumstances. It would be funny to canonize an atheist, though. Especially one with a family history of excommunication. Your MIL: Ha, you should see what I did to my son-in-law’s new car. You will never top that. My MIL: Hold my beer. I don’t understand. Where’s her common sense? I drink so much tea that when I had my kitchen remodeled, I had them install an Insinkerator instant hot water dispenser which is set to the temperature for brewing tea. It’s my favorite part of the remodel. My two favorite teas at the moment are Imperial Sencha and Kashmiri Chai, both from DAVIDsTEA. I had an Indian/Malaysian friend when we lived in the Philippines who served us proper British tea complete with the heated full cream milk, sugar and tea biscuits. Yummy. I’m gonna go with jet lag on this. I can’t figure it out myself, but after such an up-and-down night, plus changing time zones, I think Sunny must just not have been thinking clearly. 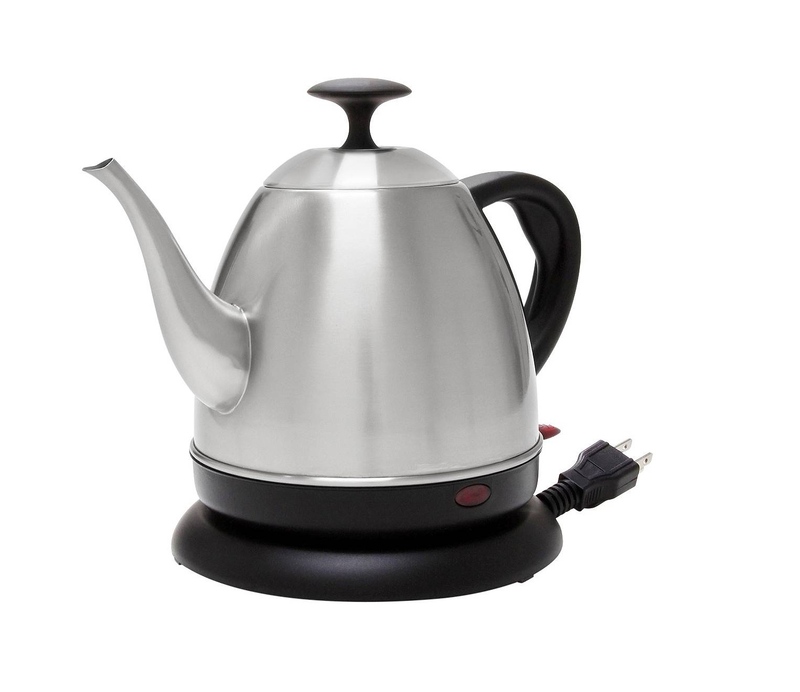 And the particular tea kettle I had does look a lot like a stove-top kettle. Andy says he should have gone with the electric water heater that looks like a coffee pot. Even though he knew I wouldn’t like it as much. Oh, cool, I love new tea recommendations. I will have to check out David’s Tea. You got a built-in Insta-hot during your remodel?! Fantastic! Those are awesome. As long as people do not mistake the hot water dispenser for a built-in soap dispenser and stick their hand under it. But who would do that? No one I know. Haha. I never thought of that–someone mistaking the hot water for a soap dispenser. Remind me to never have house guests. Oh, nevermind, the last one I had ended our friendship. How’s the new tea kettle? I didn’t really have a choice about these houseguests. They came with my marriage. The new tea kettle was awesome and did not burn up. Has Sunny been to China or HK lately? Everybody has electric water boilers here! Even in hotel rooms you get one!! Alas, no, I think she and her family last went to Hong Kong years ago, after it reverted to China. (They were able to meet the sister that got left behind when the family fled to Hong Kong.) I guess there were no tea kettles in the hotel where they stayed. I actually discovered the electric kettle in China for the first time (since tap water is undrinkable there, and people who can’t afford water or are just too lazy to buy it have to boil it). I thought it was the best invention to mankind. When I saw H pull out an electric kettle I said “you’re the first white girl I’ve ever seen to have that!” haha.. now Autumn is #2! I’m shocked about Andy’s parents though… that proves they haven’t been to China and/or HK for a LOOOONG time. Nothing beats the Japanese “electric water boiler and warmer.” You put water in and it’s always hot–push the button and bam, out comes hot water. Might not be so great for energy saving (I think you have to keep it plugged in for the water to stay warm), but man, it’s so convenient. Did Andy buy you a better tea kettle after that? Glad your in-laws didn’t set the house on fire! Yeah, I think there’s a lot less call for hot water in Hawaii. I shared a suite with an English girl one summer in college, and she had her kettle. She let her tea steep for DAYS. I was introduced to the joy of electric tea kettles in South Africa. Everyone has one here and they all find it funny when I tell them that no has has one in America. “But how do you heat water?” They ask me. I shrug and wonder how I ever had the patience to heat water on the stove. PS, this story made me sad. Drat! The story was supposed to make you laugh. Andy calls it a win, though. I drink more coffee and less tea than I used to. I hope you got that electric kettle replaced soon after, though Sunny did get you one six months later. It sounded like she was using the teapot the old fashioned way – literally over the flame like how they did in the past in Chinese culture. Maybe Sunny wanted to make Chinese tea like how she did at home at your home. I too prefer tea over coffee. But these days I hardly drink tea because even if I have some in the morning, it will leave me buzzing at night. So it’s hot chocolate all the way for me when I need a pick me up. By the way, I loaded up your blog in my WP reader. At the top it says your blog’s name When West Dates East. Below that, it says, “by andykwong2015”. It does? That’s hilarious. Andy does most of the technical tinkering with the blog and has for a while, because apparently I do it all wrong. I did not know, however, that he was now taking credit. We may have to have words. I just used the microwave for my tea kettle mourning period. I don’t think it is that hard for you to login and get it changed. I for one will not let a man let alone anyone tinker with the technical side of the blog – I find all this fun myself. I see that you have changed it and now it is showing your name. Well then. Now you go make yourself a nice cup of tea as a treat . You sure have mellOwED, Autumn. You have ditched the colourful language, cough, cough!! 🙂 I try not to swear at my in-laws. Swearing about them is another matter entirely.